Seychelles offers so much for every type of traveller. Whether you prefer to be lying on a white sandy beach or visiting the UNESCO World Heritage site of Vallée de Mai Nature palm forest; waking up with the turtles on the eco-friendly Bird Island or discovering the local culture – we select the accommodation and activities in order to suit not only your preferences, but also your budget. There are so many experiences to choose from while planning your holidays. 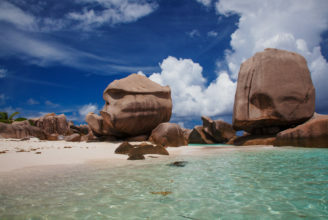 The Earth Trip has selected the best attractions of Seychelles in this section. Experience the authentic Seychelles with The Earth Trip. 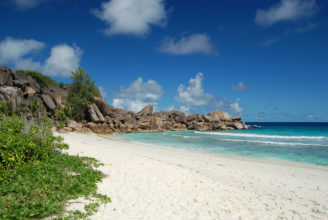 When on La Digue, hike or take a boat to visit one of the most beautiful beaches on earth! The trail goes into the water, over rocks and through the dense forest. 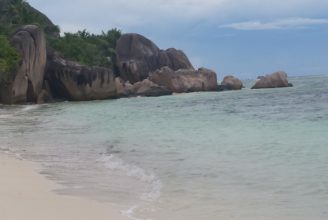 Only accessible by foot, take a long hike to reach the rewarding Anse Coco Beach from Grand Anse where we recommend you set off early as there are few shaded areas. The beach is really beautiful with white sand, shallow crystal clear waters and unique rock formations. 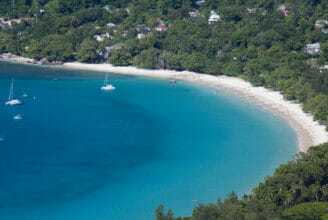 The remote Grand Anse (Petite Anse and Anse Coco) lies on the southeast coast of the island and is certainly the most scenic beach that you can see in the main islands. 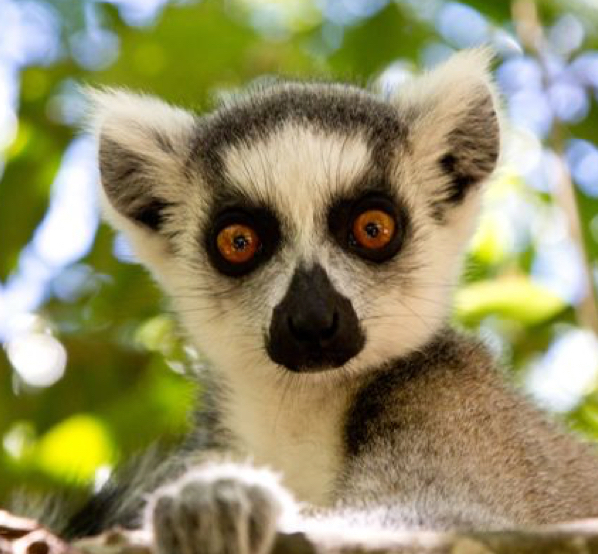 The park is home to the world’s largest population of endemic coco-de-mer and to five endemic palms. 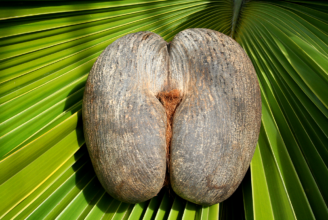 It is one of only two locations in the world where the double nut coco-de-mer grows in the wild. Laid out in an incredible setting, the Championship Golf Course offers visiting golfers’ moments of golfing perfection. 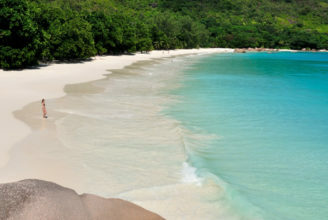 The most famous beach of Praslin, Anse Lazio is regularly voted among the best beaches in the world. 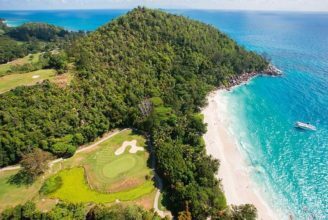 Located at the northwestern end of Praslin, this half a kilometre long beach offers postcard scenery, perfect white sand, crystal clear water and imposing palm trees. 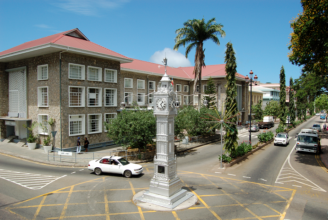 Situated on the northeastern side of Mahé, Victoria is the capital city of the largest island of the Seychelles and at the same time the smallest African capital. The market is the main market in the capital of Victoria. It is the best place to buy the freshest fruits, vegetables, fish and meat. 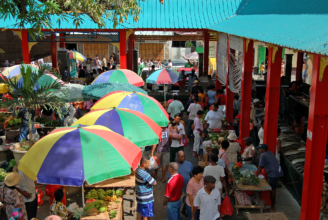 They also have a variety of spices and you will find many reasonably priced local craft and souvenir stands. 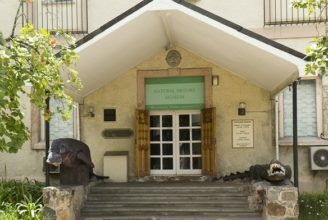 The Natural History Museum is a small museum in a colonial architecture building located next to the main post office of Victoria. You will love the exotic and authentic tales the staff will tell you. Located on the northeastern coast of Mahé, this picturesque bay is one of the most frequented beaches of the Seychelles. Beau Vallon has amazing clear calm water and coral reef.